His heart’s door slammed behind her. 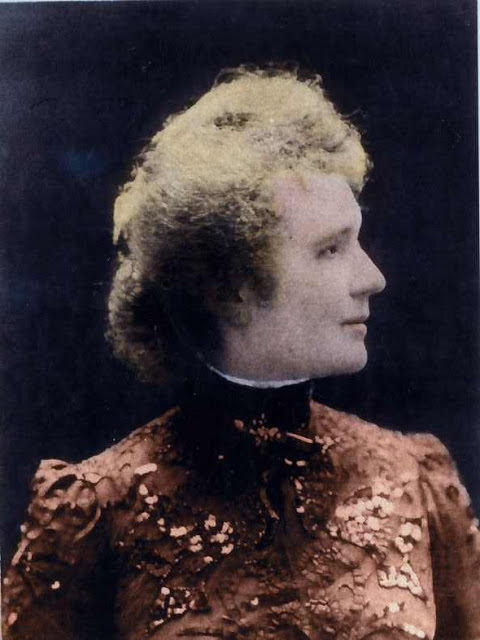 Antoni Gaudí never again granted admittance to another woman. With tortured abandon, until his lonely death forty-two years later, he turned to his first love—his art. Colorful mosaics reflected the light in her eyes, sweeping balconies, her grace. Every glass curve and campanile sang arias to her, to nature and to God. Today Gaudí’s spires and clerestories graze Barcelona’s sky and the world delights in the windows to his soul. A powerful testament, and rich in detail. Fascinating, and in many ways an example of humility and humbleness and beauty in all its forms. Very well told there. Thank you for your kind words. I did a lot of reading about Gaudí this past week. He was amazing and at least a century ahead of his time. Thanks, Nightlake. So glad you liked it. This was a bit of a departure for me but I was captivated by his architecture and his spirit. I am really enjoying this. Back for round two. Welcome back, Victoria. I hope you’ll also link on the list. It’s okay to leave your link here but most of us are more prone to follow the links on the list. OK, I’ll figure it out.
. Let me know if you need help. a great take on the prompt. loved this sentence especially.. Colorful mosaics reflected the light in her eyes, sweeping balconies, her grace. Every glass curve and campanile sang arias to her, to nature and to God. Happy you liked the story. It was fun to explore a different genre. I only found out about Gaudi earlier this year, so it was ironic that your story was about him. I enjoyed the same sentence that Shreyank mentioned above but as always, you take history and put a human face on it. Thanks Janet. If only I’d been a writer in high school. Those pesky reports and research might not have been such a chore. Rochelle, that was a great story. A great tale of beautiful art being produced from painful experience. A lot of admitted interjection on my part. But little tidbits I found along the way pointed to Gaudí’s shyness and unrequited love. Glad you enjoyed. Lovely Rochelle. As always. And well researched. Research is half the fun! What a story Rochelle. I felt his heartbreak and obsession. It breaks a heart when there is no chance to find love in human form again. Art is such a poor substitute for the touch of a loved one. Glad you liked my story, Renee. Sorry I’m so late in replying. Busy week. While history says that he dedicated his life and art to God, it seemed that some of that dedication could’ve been unrequited love. That’s my story and I’m sticking to it. I for one like your story. It’s about love, and that’s my favorite. There’s an ache that only life can bring. A true gentleman’s love. I wonder what it would have been if they got together. But such is life. We’ll never know the answer to that question will we? Thanks for reading. Your story, too, is a window to his soul. Thank you for another history lesson, gilded in beautiful words. What a beautiful testament to unrequited love. He honored her more in separation than he probably could have in a relationship. This is really great. May I assume this is based upon actual events? If so, it seems we have an architect the equivalent of Van Gough. This building is just gorgeous. I like the picture all on it’s own, your story even more. As best as I could find in my research it’s based on actual events. I found only snippets about Gaudí’s love for Pepita. Apparently he was quite shy and waiting too long to propose. Glad you liked my story. Very interesting and nicely written. I would never have thought of bio with this picture, but glad you did! For some reason bio was my instant thought when I saw the picture. I wanted to know more about the architect. A fascinating man. Thank you for your kind comments. Such beauty and elegance (and sadness of a nature) in your words Rochelle. I enjoyed your story very much! wow this biography is so intriguing. and you told it so beautifully. KZ, I think she should write his bio. What do you think? Thank you kz. I’m happy to know my words spoke to you. Written beautifully. Didn’t know about that. Thanks here I know so many new things. Thank you, Indira. I, too, learned something in writing this story. Feels like 100 years ago in Spain. Marvelous! You captured the mood and essence of the works as if you had gone there! Putting Catalan in works great … the flavor of Barcelona. From someone who’s been to Barcelona a time or two, that’s a high compliment. We fly through sunbeams that grace your writing and Gaudi’s dreams. This story sings to me of love, loss and light. One of your very best to date. Your comments sing high praise. Many mahalos. He put his whole heart into it, didn’t he? Excellent as usual, Rochelle. I love this one, Rochelle. As romantic as the architecture. Glad you liked it, denmother. Well, I just think she should have ditched the other guy and married Antoni! Great idea for the story Rochelle and well done. One of the pieces I found in research says that she may have regretted her decision. Glad you liked the story. if she really loved him, she could have made it work. A good piece once again Rochelle, I wonder if the hurt was the real reason, or the love. I guess we’ll never know the answers, will we? I’ll admit to interjection my part. Maybe I should’ve tagged it “biographical fiction”. Thank you for your kind comments. Beautiful imagery and a touching story. Your piece (which was wonderful, and so romantic) had me rushing to investigate this man. (That, in itself is high praise.) His life didn’t disappoint. Such an extraordinary talent; to be sure…! Arrr, what we do (or don’t do) in the name of love..! I also wish you well. You’ll be missed. Thank you for riding the FF bus with us for a while. ooh I loved this, so many artistically structured sentences 🙂 and the title sounds so romantic..wonderful way to start a stressful day is to read a line like this “With tortured abandon, until his lonely death forty-two years later, he turned to his first love—his art.” gives you an appreciation for the things in your own life. Sorry you were having a stressful day, but happy my story, in some way, eased it. Thank you for your kind words. I like the sort of tragic, unrequited memorial idea. The once-in-a-lifetime love made manifest, a love that had to be expressed. Classic & melancholy. When I read about Gaudí I found only a snippet about this love. That’s what stood out to me and I had to write about it. Glad you liked it. A sad beginning, but would Gaudi have designed such buildings if he did marry Pepita? I like your description of the building, with drawing connections to his inspirations. Great take on the prompt, Rochelle–however, I suspect Josefa was lucky to have married another as Antoni was dedicated to his work (going so far as to move into his still-uncompleted-as-of-today masterpiece, Sagrada Familia). You may be right. I wonder whether or not he would’ve moved into the Sagrada Familia if she’d accepted his proposal. Thanks for dropping by and commenting. Thank you, Linda. Glad you liked it. I don’t know if Gaudí ever got over Pepita’s rejection. History really doesn’t say much, at least as far as my minimal research took me. On the other hand, he accomplished so much in his lifetime. Thanks for commenting….glad you liked it. I’m impressed, you stirred more than a couple emotion in me… in 100 words! Its really instructive to learn how much can be done with so little. Thank you for your kind words. Always happy to hear when my work stirs emotion. From the moment I joined Friday Fictioneers (I can’t claim founder-ship) I was hooked and my writing changed…for the better I believe. Restricting one’s self to 100 words to tell a complete story is a fascinating challenge. It taught me what words are necessary and which ones are window dressing. Poignant and educational – what more could a person ask for. I loved your story. I certainly saw it was Gaudi, but I knew nothing about his personal life. Just maybe it was good for the world that he had to go back to the arts. I love his houses., though I only seen a few. I have only been in Barcelona for business. You’re ahead of me. At least you’ve been to Barcelona. I haven’t had the pleasure but would love to go, if for nothing else, to see Gaudí’s work in person. Actually I could find little on his personal life, but what I did find touched me. Brilliant, tight writing – and I learned a new word: clerestory. Many thanks for the kind words. Actually I learned the word clerestory in the writing. It was so good to read a behind the scenes look so to speak. Great, I loved it! His pain was to our benefit. Sad but true. As a writer I’ve learned that pain, past or present, is grist for the mill. 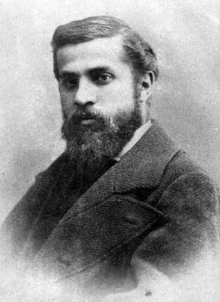 At least Gaudí had the presence of mind and beauty of spirit to turn his pain into a gift to others. I have to admire that. Thanks for taking the time to comment in the midst of your settling in. Lovely! I wasn’t aware of the love story. It gives new insight into his work, his inspiration, his muse. Tragic but beautiful. What a price for art! You really do find fascinating histories. A phenomenal testament to an expression of love, shifted from a woman, to buildings. We may never have known of him, had she not barricaded the door to his heart. Now we are able to enjoy the magnificent sweeps of gentle curves and unique structures for as long as they are standing. The porch balconies remind me of masques worn to a ball. Beautiful. Thank you for piquing my curiosities. I’m glad to have piqued an interest for you. Many good things about the man on the internet. Images of his work make me want to see more in person. Rochelle, I’ve only been here six weeks but I’m pretty sure that this story is one of the finest pieces of flash fiction that I will ever read. You know which line I absolutely adore so I won’t cut and paste it again. Thank you so much sharing this with us. I’m glad you’ve found a niche with us. And thanks for your head-turning compliments. I have a feeling our talented sprite Rochelle enjoys research as much as writing. What can I say that hasn’t already been said? Just brilliant. Makes me ponder and wonder how many composers Bach, Beethoven, Chopin, etc., suffered “unrequited love” while setting their masterpieces to music. Would take a little research. Go for it Rockstar !!! Right you are, Lora! I love research. It’s part of my continuing education. Too bad I wasn’t more interested in history as a kid. As I mentioned in another comment earlier, perhaps it’s because I have so much history behind me now that I find it fascinating. Thank you for showing us that just a little bit of fiction can turn a history lesson into a work of art in its own right. I’ve made note of this technique as an avenue to explore in my own writing in the near future. Glad you liked my first attempt. As always, you’ve added poignant and meaningful information about the prompt. How sad a story, but you’ve captured how he turned his love into something else beautiful. Thank you for dropping by with your kind words. Loved your story, too. I no longer do challenges, but I do love this photograph, quotes, and challenge. Well constructed. This is pretty much a “no-strings” challenge. No prizes other than the comments of fellow writers. In any case, thank you for stopping by and commenting. Looks like both our stories dabbled in romance this week. I guess it’s a good thing your couple didn’t get married or Richard & Gladys would’ve had to go Motel 6 (where they leave the light on – not a pretty visual image). Thanks for your comments. I always enjoy a good romance, although I think yours had a happier ending. Delightful. And his love will never die. Thank you. Indeed. His love lives and delights in Barcelona. Your story is rich in so many ways, in the language, the characters, the sadness. It makes me look at the photo much differently now. Thank you for your rich comments. Reminds me of Vincent Van Gogh…Offering an ear to his lost love. And losing his sanity. Ah, Vincent. Another fascinating personality. Thanks for dropping by, Jules. More history brought vividly to our attention! 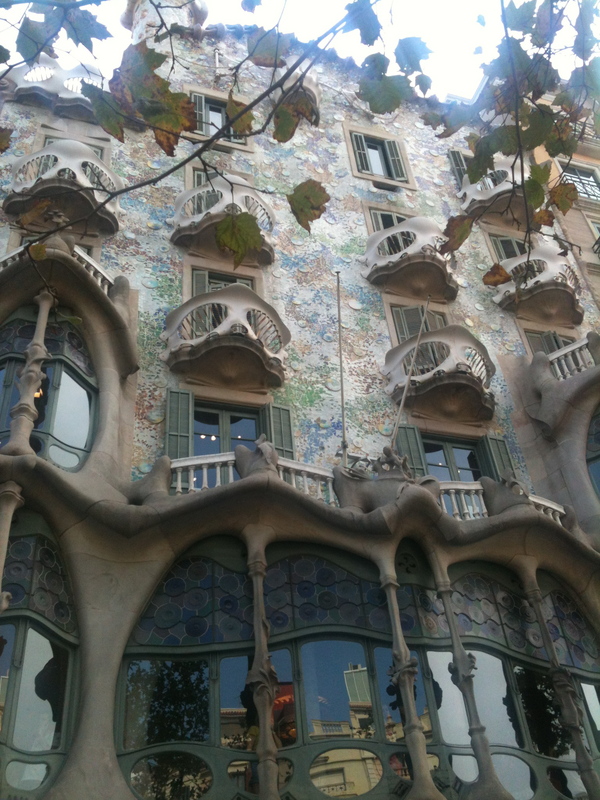 Thank you, Rochelle – I didn’t know Gaudi’s background story. Very nicely told, as always. An informative flash. Great prompt. you should be be able to copy your story URL or address from across the top of the page…white line by highlighting then click CTRL C then go to the link and go to the first box, then click CTRL V that should paste your link in…then follow the directions. Let me know if this helps. Gaudi’s architecture is certainly something to love but you have shown Gaudi’s love beautifully. Thank you for the link Rochelle. I remember how much I enjoyed researching and writing this story. I’m pleased that you took the time to come by for a visit. I couldn’t resist. I love Gaudi and your writing.